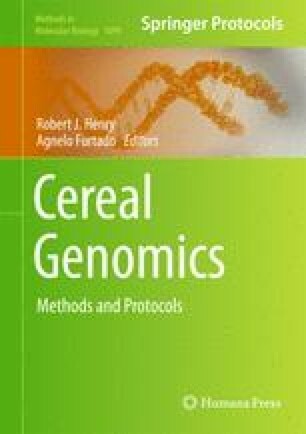 Molecular techniques have created the opportunity for great advances in plant mutation genetics and the science of mutation breeding. The powerful targeted induced local lesions in genomes (TILLING) technique has introduced the possibility of reverse genetics—the ability to screen for mutations at the DNA level prior to assessing phenotype. Fundamental to TILLING is the induction of mutant populations (or alternatively, the identification of mutants in the environment); and mutation induction requires an understanding and assessment of the appropriate mutagen dose required. The techniques of mutation induction, dose optimization, and TILLING are explained. Authors B.J.T., O.A.H., and J.J-C. wish to thank Kamila Kozak-Stankiewicz for supplying lupine samples used for making Fig. 2c. Funding for the work on low-cost TILLING and EcoTILLING was provided by the Food and Agriculture Organization of the United Nations and the International Atomic Energy Agency through their Joint FAO/IAEA Programme of Nuclear Techniques in Food and Agriculture.